Want to burn an audio CD from your iPhone/iPad/iPod playlist? This post tells you one simple method to burn Music from iPhone/iPad/iPod to CD to create your own music CD. 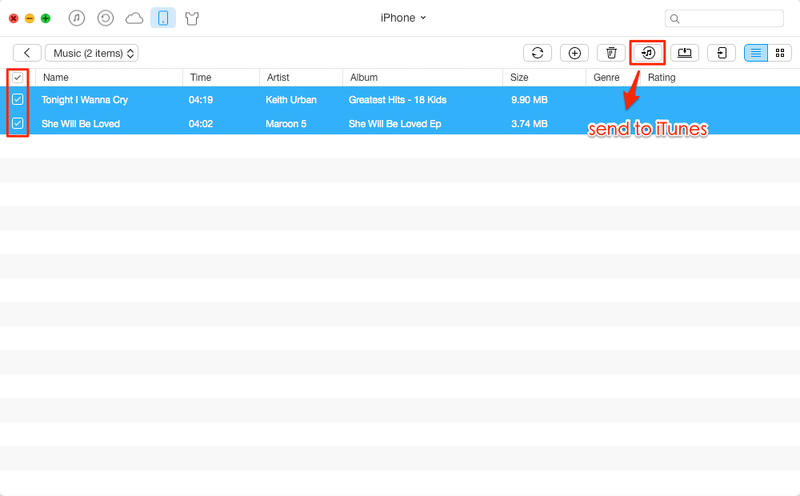 Download AnyTrans to your Mac/PC, and follow this guide to easily burn your selected songs to a music CD from an iPhone/iPad/iPod playlist. Supports iPhone 7/7 Plus and iOS 10.2/10.1/10 or earlier. Question, "I have an iPhone 7, have some my favorite songs on it. So is it possible to burn these songs to a CD from my iPhone 7 in iOS 10.1? I know how to burn with iTunes but the problem is I can’t sync songs back to iTunes from my device." Although iTunes for Mac allows users to create personal CDs or DVDs, this only means you can put music from your computer to CD. What if you have some favorite songs on your iPhone 7/7 Plus and want burn them to an audio CD? You may find it difficult because iTunes doesn’t allow users to sync iPhone songs back to computer, and there is no available ways and tools for you to directly burn CD from an iPhone, iPad or iPod. Luckily, there is another method you can have a try - use AnyTrans to transfer music from iPhone to iTunes and then burn music to CD with iTunes. Below we show you the details about how to burn music to CD from iPhone, and it also applies to iPad and iPod. 1. iPhone (or iPad iPod) and one USB cable for it. 2. A Computer with iTunes installed, no matter Mac or PC. 4. AnyTrans – one iPhone manager that you can use to transfer music from iPhone/iPad/iPod to iTunes, and get photos, contacts, videos, voice memos and other types of files from iPhone to computer and even to another iOS device. The step 1-4 shows you how to use AnyTrans to export songs from iPhone to iTunes, and step 5-7 shows you how to use iTunes to burn the exported songs to a CD. Step 1. Download AnyTrans to computer and install it. Step 2. Run AnyTrans and connect your iPhone to computer. When you see the below page and click the button at the right hand. Step 3. Choose Auido and select Music. Step 4. Select songs you need and click "To iTunes" button to get these songs to your iTunes library on your computer. Step 5. Insert the blank CD to your computer. Step 6. 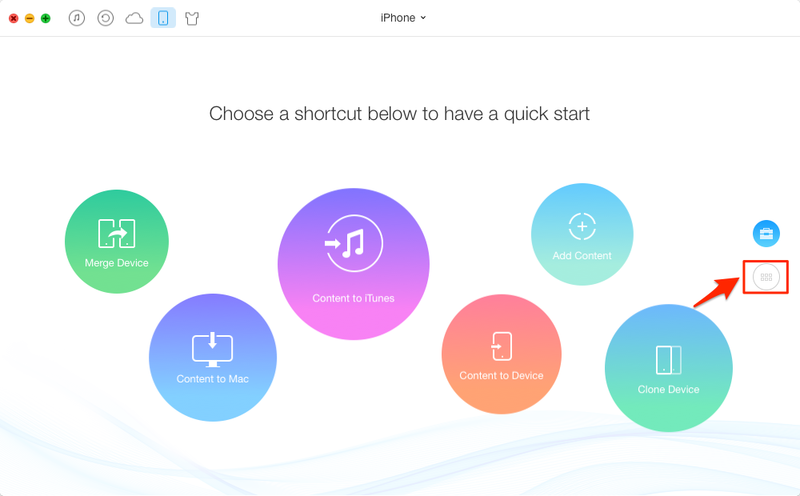 Open iTunes, find your imported songs, and collect them to a new playlist. Step 7. Go to iTunes menu bar > File > Burn Playlist to Disc, and start your burning. 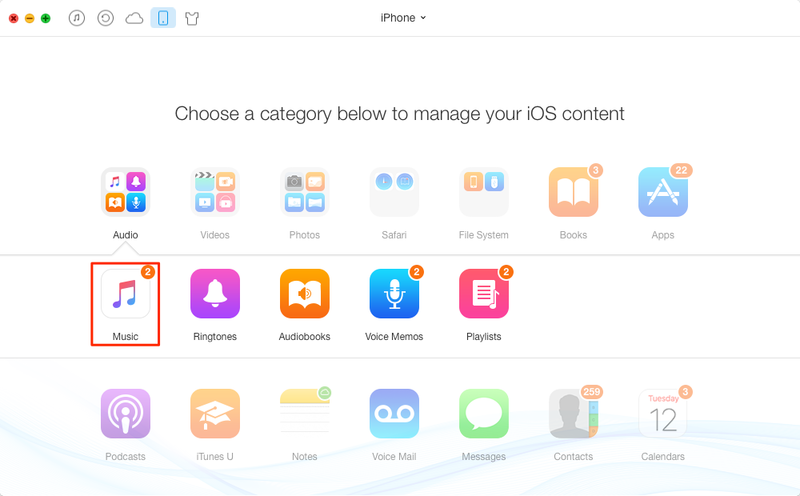 You can also use the same way to transfer voice memos from iPhone/iPod to iTunes to burn your important voice memos to CD. Actually, it’s easy to burn a CD from an iPhone if you know how to sync iPhone back to your iTunes library on computer. And AnyTrans does do well in extracting songs from iPhone, iPad and iPod to iTunes library on your computer, and even to another iOS device. So why not download AnyTrans and have a free try?